French political leaders all came up with their own “solutions” to eradicate terrorism, but still fail to understand the underpinning dynamics of the phenomenon. Since 2015, French people have learned to live with terrorism and the eventuality of an attack. Or have they? 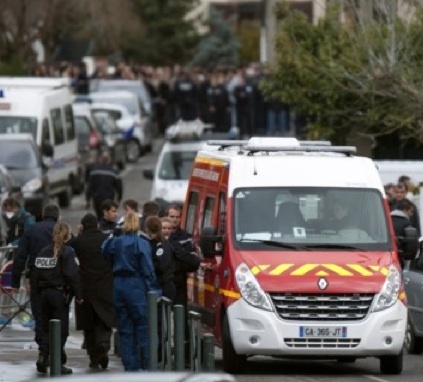 The January 2015 Charlie Hebdo attack was followed by a large movement of national unity. Every attack ever since? Not so much. The apparent societal and political unity of early 2015 has disintegrated, giving way to heated debate around security policies, immigration, the place of Islam in French society and, in many cases, political instrumentalization of the terrorist phenomenon. Marine Le Pen (leader of the Rassemblement National – French far-right), Laurent Wauquiez (leader of Les Républicains – French conservative right) and Manuel Valls (former Socialist prime minister now affiliated with the ruling majority) have been among the spearheads of a “tough” (understand unrealistic at best) approach to terrorism: reestablishment of the state of emergency, internment of these individuals under state surveillance on suspicions of links to terrorist activities and deportation of those with foreign citizenships, inadmissibility on national soil for those who left for conflict zones and prohibition of Salafism in France. More generally, a significant part of the French society and political class simply refuses to live with the eventuality of a terrorist attack and have engaged in a perpetual quest for culprits whenever one happens. Someone must bear the political responsibility for these attacks. In other words, the only acceptable political solution must be the one leading to the eradication of terrorism altogether. Easier said than done. For the sake of time, let’s leave aside the possible declinations of the use of terrorism as a tactic in history and move straight to the modern era. In 2004, David C. Rapoport from the University of California Los Angeles and a founding editor of the journal Terrorism & Political Violence, published his theory of the “Four Waves of Modern Terrorism,” a schematic (perhaps somewhat simplistic) but useful overview of the evolution of the terrorist phenomenon since the late 19th century. The fourth wave, which we arguably are still in today, is designated as the religious one. Rapoport sets its beginning at the 1979 Iranian revolution. The birth of the Ayatollah (Shia) theocracy highlighted a rather new phenomenon in modern times: a large-scale rally of individuals willing to fight and even die in the name of their religious beliefs. While no religion has proven impervious to violent extremism, Europe, and France in particular, have primarily been affected by Islamist terrorism in recent years. A former colonial power prone to international interventionism and home to large Sunni Muslim communities, France is an ideal target for Jihadi groups. Paris was introduced to the terrorist threat during the Battle of Algiers (1956-57). The Algerian National Liberation Front (FLN), engaged in an ethno-nationalist struggle against France (which Algeria was then part of) and used terrorism as its main guerilla tactic against French targets (both in Algeria and in metropolitan France), in an attempt to gain independence and seize control of the country. A military intervention in the Algerian capital managed to destroy the FLN’s operational networks and restore French control, but Algeria was eventually granted independence in 1962 with the revolutionary group’s cadres taking power. In the ‘90s, the Algerian born ethno-nationalist terrorist threat turned into one based on radical Islam. At that time, rigorous Salafism (derived from the Muslim Brotherhood’s Islamist agenda, though pursuing different end goals) had already spread throughout the world, emboldened by the victory of the mujahideen over the Soviet army in Afghanistan. Algeria was not spared by the worldwide diffusion of Salafi networks. The Islamic Salvation Front (FIS), a Sunni Islamist political party, rose at that time. It built its electoral success on public discontent towards an authoritarian government weakened by suspicions of corruption and poor economic performance (due to the collapse of oil revenues, the main source of income for Algeria then). Of course, aside from this “favorable” political context, the FIS still promoted a radical agenda, including the implementation of sharia law and the eradication of the remaining French heritage (language, culture). Secular forces backed by the military initiated a classic process in order to contain the political empowerment of religious fundamentalists: military pressure leading to the sacking of the ruling government, cancellation of the electoral process, implementation of the state of emergency and banning of radical elements such as the FIS. Long story short, this is when the Armed Islamic Group (GIA), primarily made of former volunteers trained in guerrilla warfare in Afghanistan, entered the scene. While in the early days of the Global Jihad phenomenon, the armed group carried out attacks across Algeria and in France – the former colonial power was indeed a designated target for its symbolic value and its support to the Algerian authority – to grab international media coverage. In 1995, the GIA carried a series of terrorist attacks in France, causing the death of eight and leaving hundreds injured. Six years before 9/11, France, a democratic global power, was experiencing Islamist terrorism on its national soil. Prior to discussing how France responded to a growing terrorist threat since the second half of the 20th century, let’s point out a few things about the threat itself. Beside jihadism, France has been exposed to other violent groups using terrorism as a tactic and among them, the Secret Army Organization (OAS) and Action Directe. The OAS was a right-wing paramilitary organization that emerged in the early ‘60s to impede the independence process of Algeria (operating within Rapoport’s second – anti-colonial – terrorist wave, though in a reverse – pro-colonialist – way). The OAS carried out different attacks both in Algeria – against people affiliated to the FLN – and in France – mainly against political targets favorable to the Algerian independence, including a failed assassination of former French president, Charles De Gaulle. 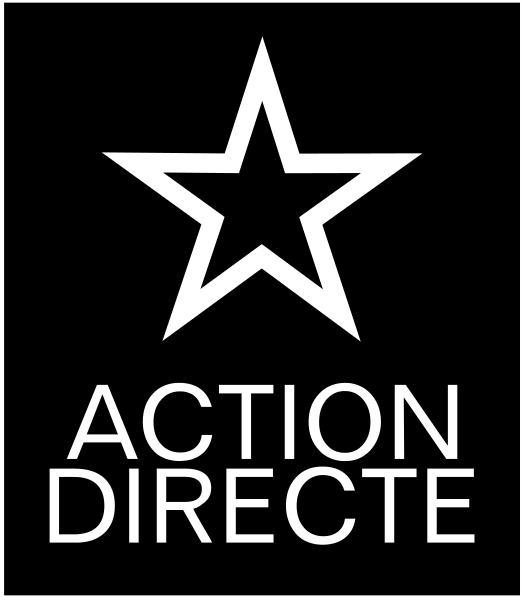 Action Directe, on the other hand, was a libertarian communist armed group which carried out a series of attacks in France between 1979 and 1987 aimed at government, military and industrial targets, in the name of “anti-imperialism.” From this perspective, Action Directe fits in Rapoport’s third – new left – terrorist wave. While these two groups are fully part of France’s history with terrorism, their relevance is limited considering the nature of the threat today. Going back to Islamist terrorism, it might be worth saying a word about the ideology at the heart of the jihadi project that stroke France over the past decades. It is less interesting to analyze the moral justification behind the use of violence in the name of God than understanding where the ideology originated from and how it gained prominence. The idea that violent jihad should be used across the globe, including in places outside of historic Muslim lands, against indiscriminate targets (roughly referred to as unbelievers or kafir) was largely conceptualized in the mid-‘90s by Osama bin Laden. It became known as the globalist strategy of giving priority to attacking the “far enemy” in the West, as opposed to the “near enemy” (secular political regimes) in the Middle East. This concept hinged on a rigid and traditionalist interpretation of Islam as a way of living rather than a spiritual experience. It was itself based on a form of Salafism originating from the Arabian Peninsula (the original land of the prophet Muhammad) and inspired by the Egyptian-based Muslim Brotherhood (note that it is important to make the distinction between the Muslim Brotherhood’s agenda which seeks to influence social norms and integrate Islam into existing institutions, and Salafism which aims to isolate a “pure” form of Islam as the only possible societal model). Bin Laden did not create Global Jihad per se, but he nonetheless contributed to conceptualizing the phenomenon and promoting it. The Muslim world is commonly divided between the Shias and the predominant Sunnis, but these two groups are themselves subdivided into different schools of thought. Salafism, for instance, is a declination of the Hanbali stream within the Sunni world. Why should we care about this? For at least one reason: the Muslim community in France primarily originates from North Africa (Algeria and its surrounding countries) where the predominant form of Islam belongs to the Maliki stream of Sunnism. Therefore, the Salafi-inspired jihadi wave that affected France is not originally indigenous to its Muslim community and was instead imported by Islamist networks originating from the Middle East, and with a global outreach. These have constantly attempted to expand their influence worldwide, and religious precepts have been for them less of an end goal than the means to promote a political program. French terrorism expert Laurent Bonelli highlights that, unlike many other “Western” countries, France had developed a comprehensive counterterrorism framework long before 9/11. 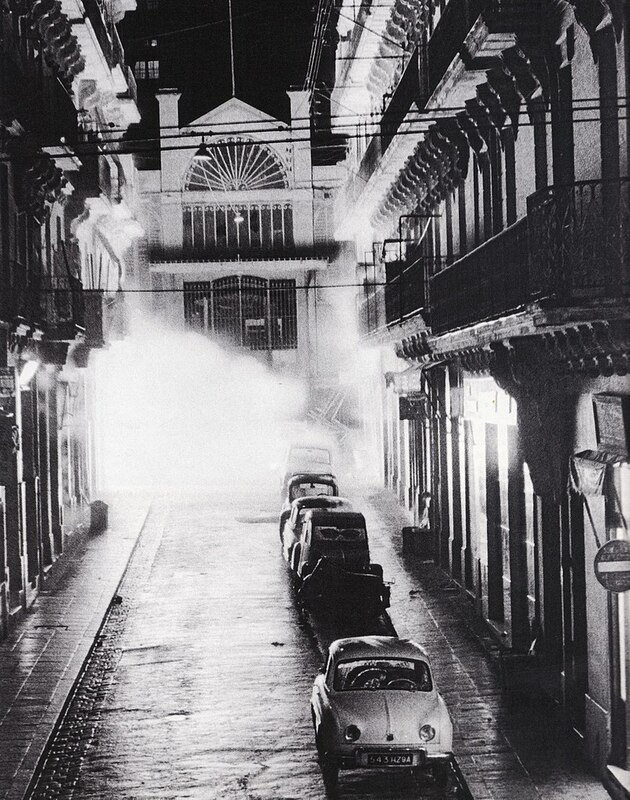 The story starts in 1963 following the Algerian independence and France’s first large-scale encounter with terrorism. Between 1963 and 1981, terrorist crimes (along with those threatening the “nation’s fundamental interests”) were prosecuted through a special jurisdiction referred to as the State Security Court. In practice, after the end of the FLN’s violent struggle against France, this jurisdiction primarily served to prosecute left-wing violent activists (Action Directe and members of international organizations such as the Red Brigades). Following a wave of terrorist attacks between 1982 and 1986, then prime minister Jacques Chirac passed a new counterterrorism law reinstituting the exceptionality of terrorist crimes within the French legislation: creation of a specialized jurisdiction within the existing criminal court, redefinition (broadening) of terrorist crimes and modification of criminal procedures (extended custody for instance) for prosecutions on terrorism charges. This legal framework was reinforced in 1992 with the possibility to prosecute people part of a network that organized an attack (as opposed to the attacker alone), but an even more important change occurred following the GIA’s series of terrorist attacks in 1995. In 1996, France added to its legal framework the possibility to prosecute people for their belonging to a designated terrorist organization (one that is suspected to potentially carry out terrorist attacks). For the first time, people could be prosecuted before they commit a terrorist attack or in the absence thereof. Al-Qaeda’s coordinated attacks in the US on 11 September 2001 brought terrorism and Global Jihad under an unprecedented spotlight. The US and many other countries around the world significantly reshaped their counterterrorism arsenal to face a threat that they had underestimated for years. In comparison, France only made a few minor adjustments in the early 2000s. The legal framework evolved a little to broaden the capacities of police forces (wider CCTV coverage, searches in private vehicles, interception of private communications), centralize the judicialization of terrorism cases and lengthen sentences associated with terrorism charges. France also joined NATO’s counterterrorism operation in Afghanistan in 2001 (Paris eventually withdrew its last forces in December 2014), but these measures were merely noticeable in comparison with the USA Patriot act and the Global War on Terror (GWOT) initiated by the Bush administration following 9/11. Let’s thus fast forward to the post-2015 era. The nationwide trauma caused by the attack on satirical newspaper Charlie Hebdo forced the incumbent Socialist administration to act in front of a growing Islamist terrorism threat. 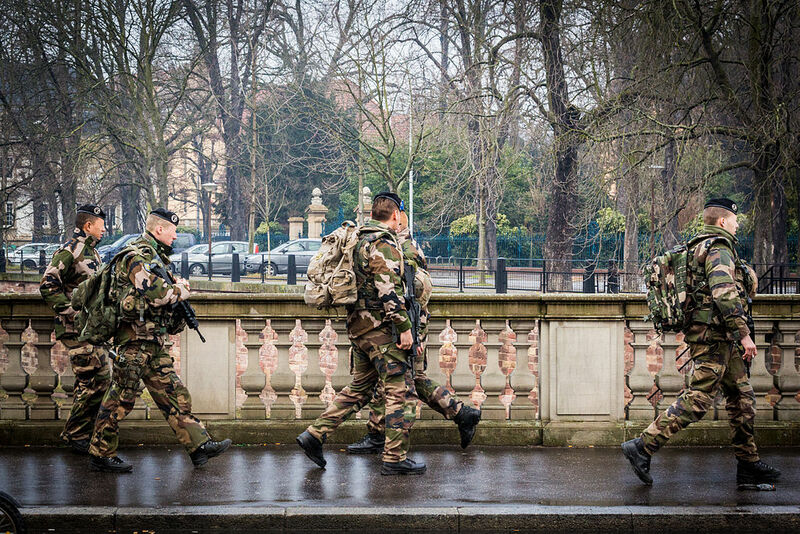 The flagship measure of the Hollande administration was the domestic deployment of a military taskforce (Force Sentinelle) to protect the country’s population and critical infrastructures. While enjoying significant popular support, the Force Sentinelle faced a myriad of challenges. From the limitation and strict regulation of the scope of action for military forces domestically (the role of the military is first and foremost to intervene abroad) to the overexploitation of military personnel (France is actively engaged in several operations abroad), the military taskforce did more from a public relation standpoint than for its designated counterterrorism purpose. In any case, it failed to prevent (or even provide efficient operational assistance to the police forces) the two high profile terrorist attacks that struck France in November 2015 (Paris attack) and July 2016 (Nice attack). In addition, the Hollande administration passed a new counterterrorism law on 3 June 2016. The main inputs of this law were the criminalization of jihadi propaganda, the abrogation of the immunity for family members of individuals involved in terrorist crimes (they had a right to refuse to cooperate with investigators until then), the enlargement of the scope of action of police forces (physical searches anywhere, right to use lethal force in order to prevent the repetition of killings within a short period of time) and the further toughening of the penalty regime with regards to terrorist crimes. In the meantime, France increased its involvement in Iraq and Syria against the Islamic State (Operation Chammal). A month later, Mohamed Lahouaiej-Bouhlel killed 86 and injured more than 400 in the Nice truck attack. Five months after his election as France’s new president, Emmanuel Macron passed on 30 October 2017 yet another counterterrorism law. The primary goal of this law was to put an end to the two-year long state of emergency in France, but it was also an opportunity to bring additional components to the existing counterterrorism arsenal. The most controversial aspect of this law is the perceived institutionalization of multiple components of the state of emergency into common law. This is exemplified in the creation of “security zones” around key sites or during important events, in which private security agents are now allowed to perform security checks on people and their personal effects. Local authorities are also authorized to close places of worship when they present a security risk, without the approval of a judge. The law also facilitates house search warrants for police forces along with the collection of digital data and it grants the possibility for the Ministry of Interior to decide on the surveillance of designated individuals. More importantly perhaps is the possibility for the executive power to compel individuals to remains in a designated location while under surveillance. According to the French League of Human Rights (LDH), these measures constitute potential infringements to individual freedom that could be used by governments in the future for the purpose of political repression. Well, yes and no. The years 2017 and 2018 (so far) have not seen the type of high profile attacks that occurred in 2015 and 2016. 149 people died in terrorist attacks in 2015 in France and 89 for the year 2016. For 2017 and 2018, these numbers go down to 3 and 4 respectively. 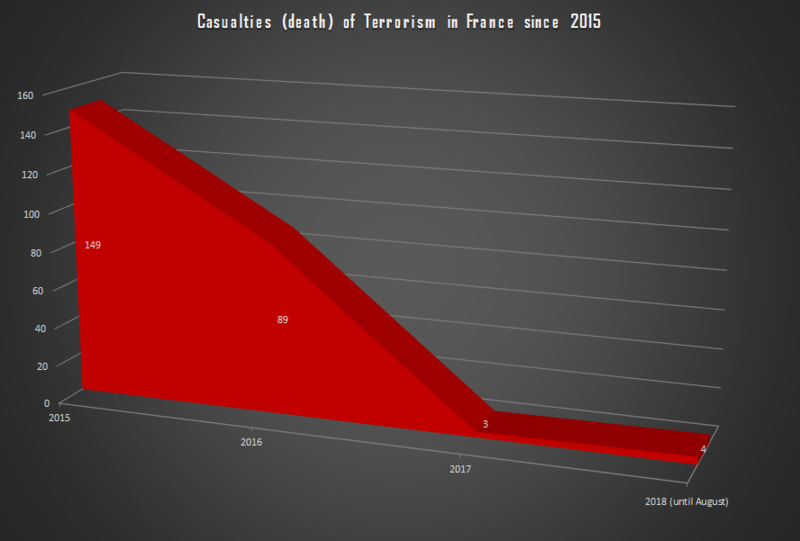 The number of terrorist attacks carried out on French soil (successful, failed and foiled) since 2015 tells us a slightly different story, at least for the year 2017 (33 attacks overall, the highest number since 2015). However, 2018 has been indeed quiet so far. In any cases, France has not seen a mass casualties attack since July 2016. Should we attribute this to the successive reinforcements of the legislative counterterrorism framework? Jumping to this conclusion might be a little hazardous. 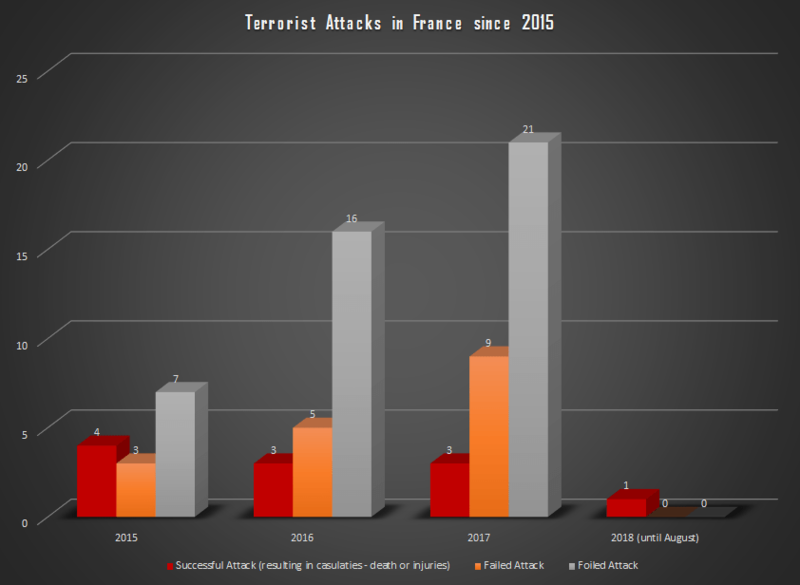 Although French security forces undeniably understood the significance of the terrorist threat since 2015, there is a conjunctural aspect to the decrease of large-scale terrorist attacks in France, and in Europe more broadly, over the past few months. The Islamic State, the main protagonist behind terrorist attacks organized in the “West” since 2014, has lost most of its territorial conquests in Syria and Iraq along with its operational capacities on the ground, as a result of the international coalition’s military operations in the region. The terrorist organization was defeated in its two main strongholds, Mosul and Raqqa, in July and October 2017 respectively. It is fair to assess that the terrorist group’s extended network, and its ramifications in Western Europe in particular, were similarly affected. The 2015 Paris attack was organized by a complex network of individuals with ties to the Islamic State and led by Abdelhamid Abaaoud, a high-profile jihadist who spent time in Syria. Even in the case of attacks carried out by “isolated” individuals or so-called “lone wolves” (a term largely inaccurate and increasingly dropped out of security studies nowadays), investigations have highlighted the existence of ties (to various degrees) with different cells or individuals belonging to transnational terrorist networks. Lone wolves are in fact never really alone in their enterprise. Similarly, with the utopia of a viable caliphate fading away with every passing day, the appeal of the Islamic State has considerably diminished over the past year. Although it is too early to declare the Islamic State out-fashioned, the threat it poses for European societies is unquestionably lower than it was between 2014 and 2016. In the short term, the executive power must implement the appropriate policies to “dodge” terrorist attacks, prosecute convicted terrorists and monitor those in the making. Strengthening the legal system is one way to look at the problem but it has clear limitations. In the words of former French counterterrorist judge Marc Trevidic, “a law is 10% of the problem.” It only deals with the “tip of the iceberg,” that is, the effects of terrorism, as opposed to its cause. In addition, the over-judicialization of terrorism does not fully consider the nature of the problem. Indeed, in practice, engaging legal actions against potential violent extremists (usually part of a wider network) may have two likely outcomes: pushing them underground and making their surveillance and that of their extended network more difficult, or inciting them to act immediately. Adel Kermiche, one of the two perpetrators of the July 2016 attack in Saint-Etienne-du-Rouvray, was at the time under house arrest and equipped with an electronic tagging device. Monitoring dangerous individuals on French soil and abroad is key to anticipating and preventing terrorist attacks, but France is yet to live up to its ambitions in terms of intelligence gathering. Yves Trotignon, former secret services (DGSE) agent explains that France does not have the human capacity (in terms of personnel) to track every radicalized individual listed on intelligence records. These records gather some 20,000 people, among which 4,000 are listed as highly dangerous (security forces do not even consider the list to be fully comprehensive). It is difficult to monitor that many people on a daily basis when the main agency in charge of domestic intelligence (DGSI) has less than 4,000 personnel. Beyond these limitations in terms of capacity, French intelligence is also impacted by the French bureaucracy and a hierarchical structure that tends to overcentralize intelligence gathering and decision-making processes. This can result in the mismanagement of recommendations and information gathered by local intelligence units. That issue is best exemplified in the intelligence failures preceding Mohammed Merah’s killing strike in 2012 (an event that can be considered as the starting point of the current Islamist terrorist wave in France). The French central intelligence direction then chose to ignore the red flags raised by local agents regarding Merah and his network. In sum, the vertical organization of the intelligence community in France might actually benefit from more horizontality. Long-term measures will be just as important as short-term ones. Nobody can precisely predict what the future holds in terms of risks associated with Islamist terrorism in France. However, the phenomenon is nothing marginal. It has affected dozens of thousands of French citizens from various socioeconomic backgrounds who radicalized alongside the Islamic State and other international terrorist organizations, including nearly 2,000 who moved to the proclaimed caliphate in Syria and Iraq. France has not been spared by the nationalist/populist wave that passed through most of the “Western World” in recent years. The political instrumentalization of terrorism has boosted the emergence of anti-Islam movements and trivialized Islamophobic discourses, which in turn, have done nothing but reinforce the narrative of the most radical and violent Islamist groups. The line between Islam (the religion), Islamism (the political project) and its violent declinations is as blurry as ever. It is nonetheless everyone’s responsibility, starting with political leaders, to understand the distinction and make the difference between a religion that has been present in the country for centuries and its radical (violent) variants incompatible with the French multicultural republican project. In short, France must understand the Islamist terrorism phenomenon and “know its (real) enemy.” Again, easier said than done.